The Mk VI is probably the most common Copicat seen these days. I suspect this may possibly because more of them were sold. 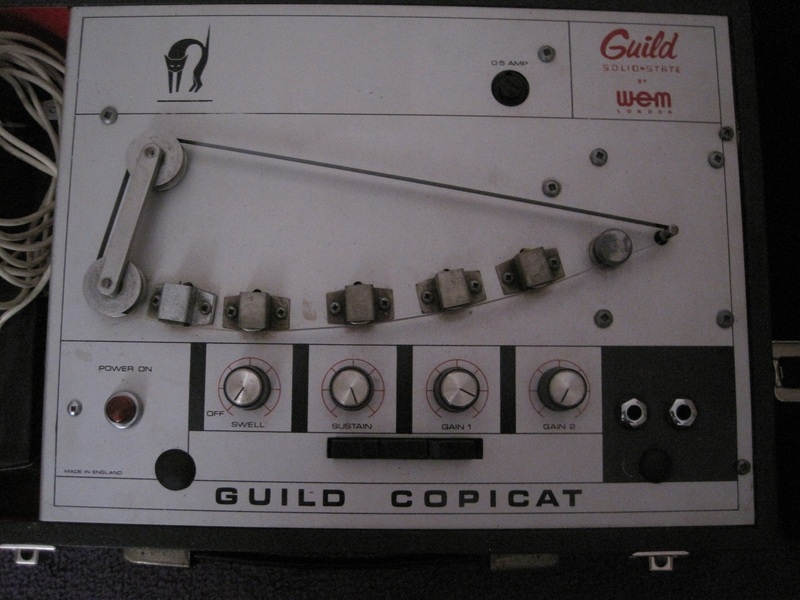 It was distributed in the USA under the “Guild” name although, as you can see from the pic., mine is also labelled as “Guild” although it is definitely a UK 240 volt model. I believe it was also distributed in some parts of Europe under the “Kent” brand name. Sadly, a lot of Mk VIs were modified with extra sockets drilled into the front panel for a footswitch or extra input. Mine is a typical example and one of the first things I did was to revert it back to standard and blank off the additional holes.